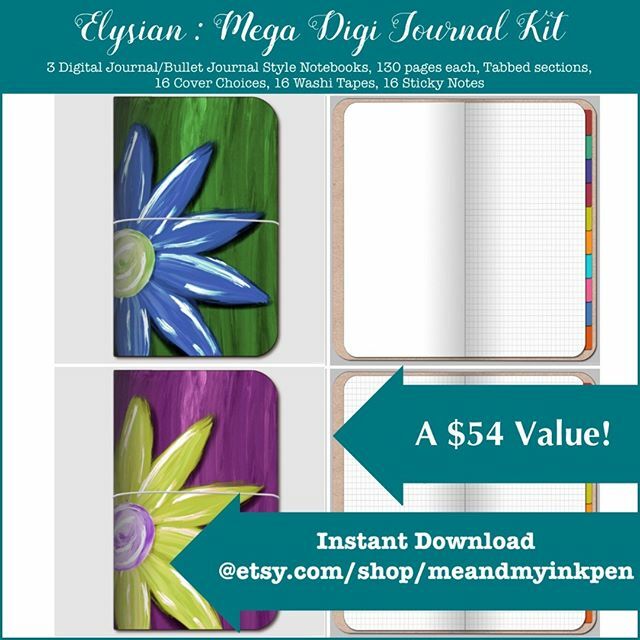 New on Etsy : Elysian.. a Mega Digital Journal Kit! 3 journals, washi tape, sticky notes, and 16 cover options! « Jun 18 – 24 in my Digital Bullet Journal.. #BuyYoursOnEtsy?